A major exhibition at TATE Britain right now showing the best of British art, raw in the human flesh, tracks contemporary British painting back a couple generations to one teacher in particular, David Bomberg, who was a major influence on the London School; Lucian Freud, Frank Auerbach, Leon Kossof, Francis Bacon et al. 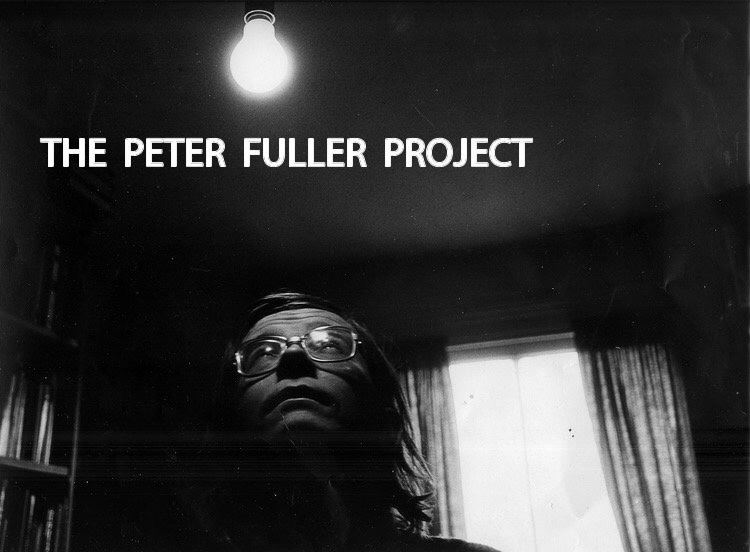 A leading voice in this movement which really came into it's own in the late 80s was Peter Fuller, who was one of the last guru like figures in art criticism. The below article originally published in 1971 documents his relationship to Bomberg's work. David Bomberg drew a charcoal self-portrait in 1932 when he was 42 years old. As a young man he had been widely acclaimed for his ‘avant-garde’ paintings but when he became disillusioned with modernism interest in his work withered. The slant of his eyes and the line of his lips reveal both his contempt for the critics who shunned him and his stubborn determination. The strength of the heavy, binding outline joining the dome of the skull to that proud jaw seems like a declaration that he is not a broken man. Almost 25 years later Bomberg painted his Last Self- Portrait. In this, he is literally effaced: where the features should be, there is a shroud-like hood. The head is so fissured that the face seems to be flooding out and fusing with the background, yet the whole painting burns with a trans­figuring glare of light. At this time, Bomberg was drafting unsent letters to The Times defiantly justifying his art. A few months later, he died. These two self-portraits exemplify the extremes of ‘expression’ which Bomberg struggled to keep simultaneously alive in his later work. To make this clear, I must digress. The classical theory and practice of expression, dominant in western art from the Renaissance until the end of the 19th century, was concerned with what was expressed by the subject of the work — that is, with the expressiveness of Laocoon, Moses, Mona Lisa, or whatever, as revealed through their physiognomy and musculature. Expression in this sense was, like perspective, regarded as one of the painter’s necessary scientific skills. The modern theory and practice of expression among artists began to emerge in the 1880s and became dominant about the time of the First World War. It is very different: it is concerned with the way in which the subject matter, and materials, have been worked so as to be expressive of the artist’s own feeling. In 20th century ‘expressionism’, objectively perceived anatomy becomes less and less important: the bodily basis of much painting is rather the unseen body of the artist, which is revealed through such phenomena as scale, rhythm, and simulation of somatic processes. This distinction is not absolute: the self-portrait has always been an exceptional genre in that the expressiveness of the subject of the work is one and the same thing with that of the artist himself. Many romantic self-portraits — like Courbet’s early painting of himself as a Desperate Man — were protests against the conventions of classical expression, or dramatic intrusions of the artist’s subjectivity into the forefront of the viewer’s concerns. This century, however, the self-portrait can equally be a way of insisting upon an objective, empirical element in painting without relinquishing the right to imaginative, personal expression. This, I think, is what it was for Bomberg. But for the fact that the expression is his own, the charcoal drawing could be read as an exemplar of classical expression; but for the fact that it contains a residue of self-portraiture, that disinte­grating image of himself might be read as abstract expres­sionist. For the last 25 years of his life, Bomberg was determined to hold fast to both kinds of expression — and this didn’t just apply in the case of the self-portrait. That life had been complicated enough. Bomberg was born in Birmingham in 1890, the fifth child of an immigrant Polish Jewish leather worker. When he was five, the family moved to the East End of London where Bomberg grew up not far from Spitalfields flower market. The Jewish community there was like a cultural forcing house. As an adolescent, Bomberg visited the Victoria and Albert and the British Museum to draw. He broke his indentures with a lithographer, and, after attending Sickert’s painting classes, won a scholarship to the Slade, where he studied under Henry Tonks. But Bomberg also believed that on its own the eye was a stupid organ. Even before he left the Slade, he had become interested in cubism; he was associated with, although he never joined, the British vorticists. Between 1912 and 1914 he produced the stylistically innovative works — like The Mud Bath and In the Hold — for which he is still best known; these established his reputation as one of the most ambitious and radical of vanguard artists. Bomberg made his last cubist-derived works in 1918-19; after active service in France, he had received a commission to paint a picture for Canadian War Memorials. His cubist designs were, however, rejected. Bomberg then re-worked the picture in a more ‘realist’ way. It has been suggested that this was ‘one of the few compromises of his life’.That is nonsense. Bomberg was in fact one of the first former avant-gardists to realize that the half-promise which cubism had seemed to offer of a new way of representing the world was not going to be fulfilled: cubism, as it were, was not going to provide a new ‘scientific’ base to expression which could replace the old. Its progeny did indeed turn out to be subjectivism and formalism, tendencies entirely foreign to Bomberg. He correctly prophesied that the pursuit of abstraction would culminate with the ‘Blank Page’. He knew that he had to find another way. 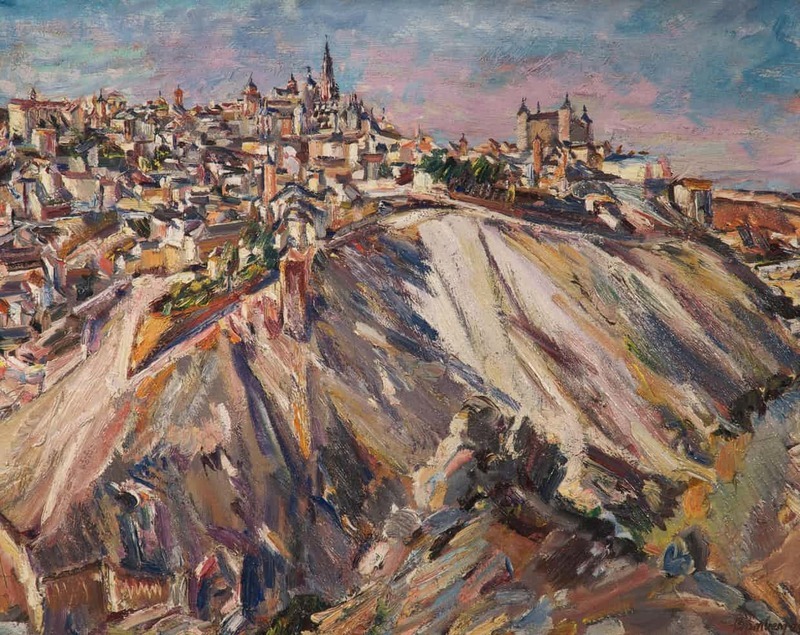 Once he had discovered this path, Bomberg doggedly pursued it through remarkable series of paintings of himself, his wife Lilian, a Derbyshire bomb-store, blitzed London, the Cornish countryside, and the Cyprus landscape. He came to describe what he was doing as a quest through drawing for ‘the spirit in the mass’. Bomberg has been criticized on these grounds for being a philosophical idealist; that is to take too narrow a view. Bomberg was no mystic! He was, however, literally and temperamentally, an exile. When he spoke of his desire to reveal through drawing the spirit in ‘the billions of tons of living rock’ he was expressing his wish, never to be fulfilled, of finding his spiritual place in this world. This is why he pursued his quest with an urgency which often gave way to despair. Far from being ‘idealist’ I would suggest that Bomberg’s late paintings are rooted in the material being of both the subject and the object; they combine Tonks’s perceptual empiricism (based on ‘objective’ study of the body as seen) with a form of ‘abstract expressionism’ which anticipates Jackson Pollock’s use of the absent presence of his own living, breathing body as the basis of his paintings. This synthesis transcends both its informing elements: Bomberg was able to evade the aridity of those who, like William Coldstream (a doctor’s son), persisted in the ‘factual’ Slade tradition, and the solipsistic mire of full abstraction, alike. There was one other respect in which Bomberg resembled Jackson Pollock: his struggle to find a way in which he could bear witness to his experience was accompanied by periods of doubt and morose depression in which he could not paint at all. These moments were exacerbated not, as in Pollock’s case, by excessive attention, but rather by almost total disregard. If an art historian openly relegates work which he describes as the ‘finest’ of its time to a footnote in the history of art, one might well ask him what he is including in the text. I, too, believe that Bomberg’s later work — and, even more so, the painting of two of his pupils, Kossoff and Auerbach — is among ‘the finest of its time’. Unlike Sylvester, however, I am insisting that the book of recent art history needs to be rewritten to make this and many other submerged facts clear. It may well be that many of the footnotes belong to the text, and that much of the existing text can safely be relegated to the footnotes. Whatever estimate may be placed upon Lucian Freud's 'naked portraits' by future generations, it is unlikely that they will ever be attributed to any time other than ours. Just as the regents and regentesses of Frans Hals (a painter with whom Freud has something in common) unquestionably belong to seventeenth- century Holland, so Freud's subjects seem indubitably to be children of this troubled century. Their modernity is not in question.